One of the best parts of living in SLC is the realization that your neighbors are the filthy-talented people that you thought lived elsewhere. One such human is Mr. Randall Lake. We've relayed the worthy message to you before -- Randall's art is an epiphany, and his studio serves as nothing less. And, for the first time in over 10 years, he'll be putting on a one-man studio show that enables you to see both. Lucky. Randall has been painting and traveling and filling the walls of galleries for nearly 40 years, his work demanding an exhausting output pace. The last few years, however, have seen some change. "I have taken quite a few years off from painting seriously and have gone through a transformation both personally and artistically," he says. "I am at a state now where I am back at the easel and loving it! I didn’t know if I would ever reach this point again in my career, but the timing for a show feels right. It will be great to reconnect with old friends and collectors. It excites me again to open up my studio after it being under the radar for so long. I have spent enough time in self-exploration, and now it is time to just paint. If feels right to have this exhibit reenter my life and career." Amen. Count us in. 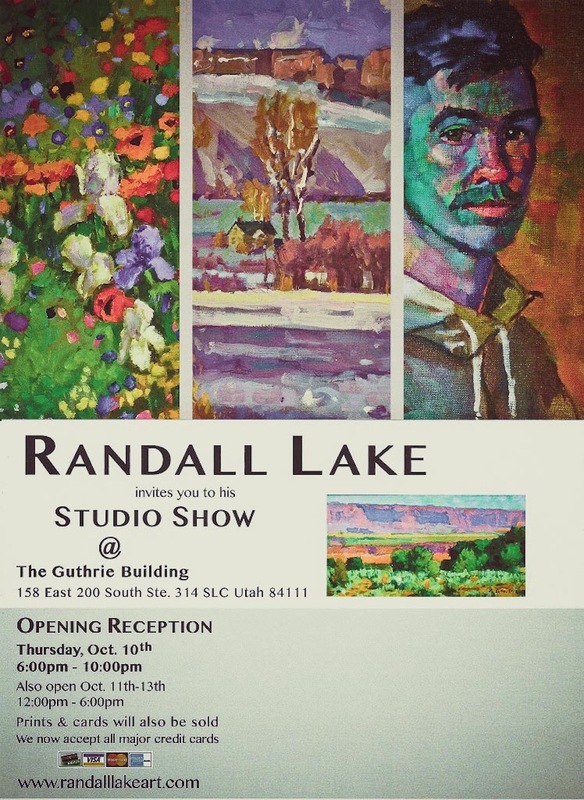 The show will open on Thursday, October 10th at 6pm at his Guthrie Building studio at 158 East 200 South in Salt Lake City. You'll have your pick of over 60 of his incredible works, both old and new. Randall will continue to display the show through the weekend with hours from 12:00pm – 6:00pm on Friday, Saturday, and Sunday, October 11-13.